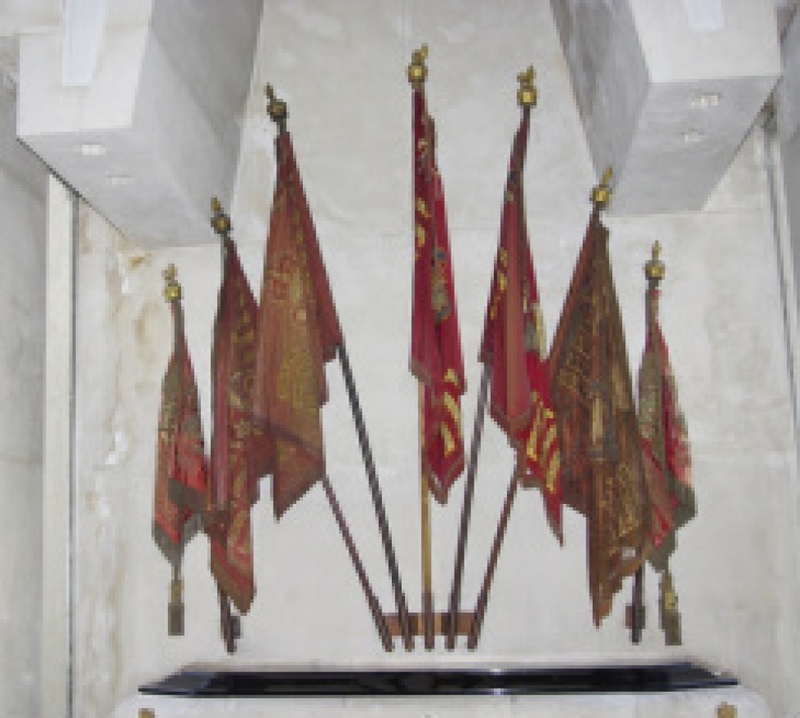 In July 1856 the Foot Guards battalions which had just returned from the Crimea applied for new colours and on 27th February 1857 the colours which had seen service at Inkerman, the Alma and other actions in the Crimea were deposited in the Guards Chapel, escorted by Guards of Honour. For many years it was the custom for time-expired colours to be considered the perquisite of the Colonel at the time they were replaced and many found their way into private houses. An appeal was made for their return to what had become their spiritual home and it was met with a ready response. 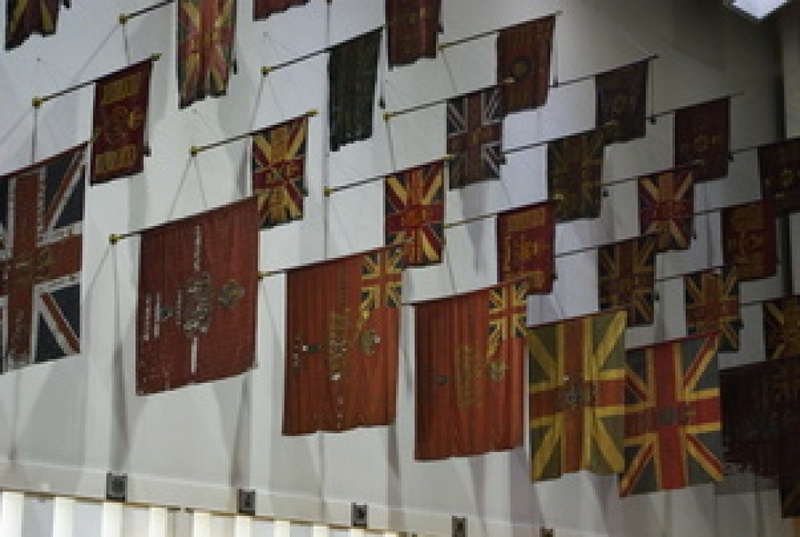 Today, the chapel walls are lined with colours carried by the Foot Guards since 1770, some of which pre-date the union with Ireland in 1801which brought the addition of the cross of St. Patrick to the Union Flag. The size of Colours was reduced from around 1863 at the same time as the gold fringes were added. 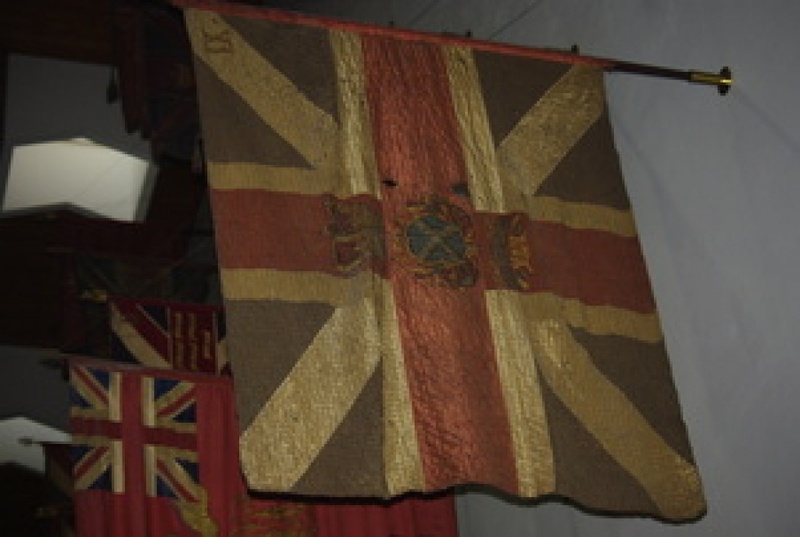 This picture shows a Regimental Colour of the Scots Guards (battalion unknown) dating from the late 1700s. The badge is of St. Andrew’s Cross, wreathed. The Narthex holds the standards of the Household Cavalry presented in 1953 (bottom level) and 1963 (top level). 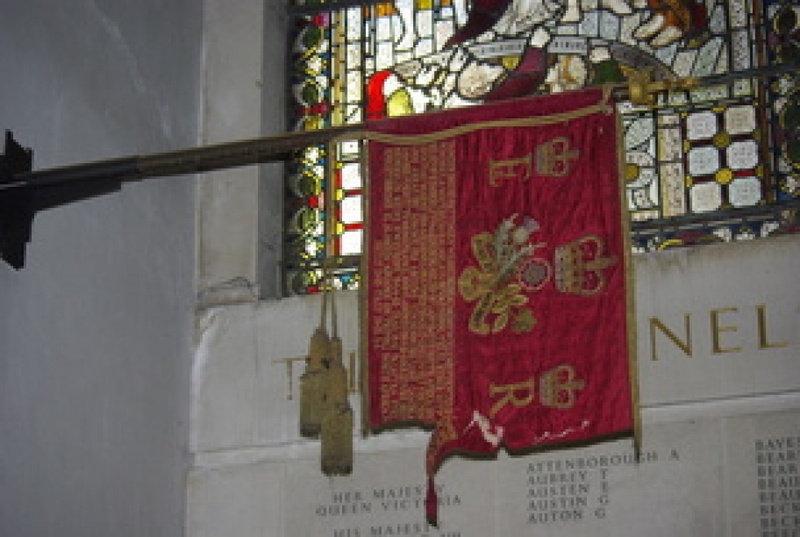 On the south-west corner of the chapel is the tattered Squadron Standard of The Blues and Royals, presented in 1973 and damaged when the Queen’s Life Guard was attacked by Irish criminals in 1982. 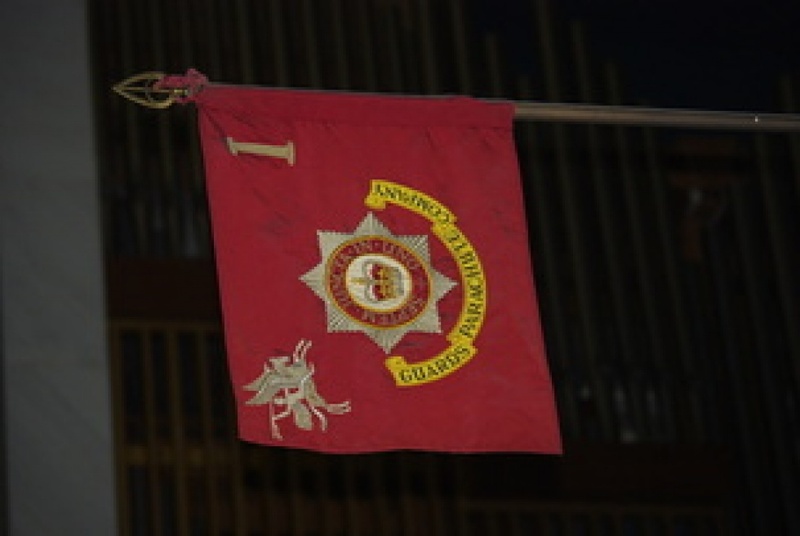 At the front of the chapel by the pulpit is the company colour of Number 1 (Guards) Independent Parachute Company, disbanded in 1975.